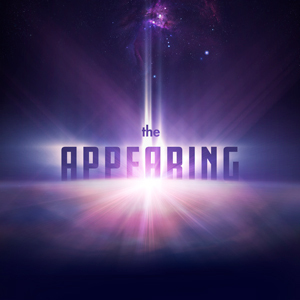 Is the Appearing imminent? See if you know the signs! The signs are all around us. Current world events point to a coming cataclysm. How well do you know the signs that The Appearing is about to happen? How much was spent on military arms worldwide in 2016? "And you will hear of wars and rumors of wars” (Matthew 24:6). There are currently 45 ongoing armed conflicts, with fatalities in 35 countries. In total, countries around the world spent $1.6 trillion on arms in 2016, a 0.4% increase from 2015. The US spent $611 billion, 36% of the global total. Of the 7.6 billion people in the world, how many suffer from chronic undernourishment, meaning that their daily intake of calories is insufficient for them to lead active and healthy lives? “And there will be famines.” (Matthew 24:7) The United Nations Food and Agriculture Organization estimates that about 815 million people of the 7.6 billion people in the world, or 10.7%, were suffering from chronic undernourishment in 2016. Almost all the hungry people live in developing countries. There are 11 million undernourished people in developed countries. How many earthquakes have already been registered by scientists worldwide in 2018? “And there will be great earthquakes in various places.” (Luke 21:11) According to the United States Geographical Survey, there have been a total of 4,660 earthquakes registered so far in 2018. Of those, five have resulted in deaths, with a total death toll of 227. In 2017, there were 12,860 total earthquakes with a death toll of 1,157 people. In a 2013 survey, how many adult inmates were under correctional supervision (probation, parole, jail or prison)? “And because lawlessness will abound, the love of many will grow cold.” (Matthew 24:12) According to the US Bureau of Justice Statistics, 2,220,300 adults were incarcerated in US federal and state prisons, and county jails in 2013 – about 0.91% of adults (1 in 110) in the U.S. resident population. Additionally, 4,751,400 adults in 2013 (1 in 51) were on probation or on parole. In total, 6,899,000 adults were under correctional supervision (probation, parole, jail, or prison) in 2013 – about 2.8% of adults (1 in 35) in the U.S. resident population. How high was the wall of water that crashed into the coast of Japan in a March 2011 tsunami? “Nations will be in anguish and perplexity at the roaring and tossing of the sea” (Luke 21:25 NIV). A 9.0 magnitude earthquake occurred on March 11, 2011, triggering powerful tsunami waves that reached heights of up to 40.5 meters, or 133 feet high. The waves were so strong that they traveled up to 6 miles inland. A 2015 report confirmed 15,895 deaths, with thousands missing. As of 2015, 228,863 people were still living in temporary housing since their homes were destroyed. What European country was targeted in a 2015 terrorist attack that resulted in 130 deaths and over 400 injuries at multiple public venues—the deadliest attack ever recorded in that country's history? “Men will faint from terror, apprehensive of what is coming on the world” (Luke 21:26 NIV). Multiple shooting and grenade attacks occurred on November 13, 2015 throughout Paris. Among the locations targeted were a music venue, sports stadium, and several bar and restaurant terraces. The attackers killed 130 people, including 89 at the Bataclan theatre. Another 413 people were injured, almost 100 seriously. How many Christians worldwide are currently suffering religious persecution? "Then many will be offended, will betray one another, and will hate one another" (Matthew 24:10). About 215 million (1 in 12) Christians are being persecuted due to their faith. According to Open Doors USA, 255 Christians are killed every month based solely on their identification as a Christian. Americans are working longer hours than they were years ago. What percentage of American workers left vacation time unused in 2015? "Many shall run to and fro" (Daniel 12:4). More than half of American workers (55%) left vacation time unused in 2015. This adds up to 658 million unused vacation days. U.S. workers forfeited 222 million of the 658 million unused vacation days. These days cannot be rolled over, paid out, or banked for any other benefit—they are purely lost. This forgone time results in $61.4 billion in forfeited benefits annually. According to IBM, how many bytes of data are used per day in the world? "Knowledge shall increase" (Daniel 12:4). Our current output of data is roughly 2.5 quintillion bytes a day. This would fill 10 million blu-ray discs, the height of which stacked would measure the height of 4 Eiffel towers on top of each other. As a whole, the Internet population has grown by 7.5% since 2016 and now includes over 3.7 billion humans. On average, the US alone spits out 2,657,700 gigabytes of Internet data every minute. If new treatments are not discovered for superbug infections, in what year do medical professionals believe annual global deaths will increase from 700,000 to 10 million? "And there will be…pestilences" (Mathew 24:7). If scientists can’t find new methods of treatment, in a worst-case scenario, annual global deaths from superbug infections could increase from a current estimation of 700,000 to 10 million by 2050. Drug-resistant infections currently kill more than 50,000 people every year in the U.S. and Europe. The current prediction for 2050 is based on two worst-case scenarios: what would happen if all microbes became antibiotic-resistant, and what would happen if resistance increased by 40%. How many countries across the world have known nuclear weapons, totaling over 14,000? "The time has come for…destroying those who destroy the earth" (Revelation 11:18). Nine countries (Russia, United States, France, China, United Kingdom, Pakistan, India, Israel, and North Korea) in the world possess a total of 14,175 nuclear weapons. The United States and Russia account for 92% of them. How many major border conflicts with fatalities have occurred in the world since the year 2000? "Nation will rise against nation, and kingdom against kingdom" (Luke 21:10). Over 30 countries have been involved in a territorial or border dispute with another country since 2000 with over 10,500 fatalities. How many times does the Bible allude to the Second Coming of Jesus? The Second Coming refers to the future return of Jesus Christ based on more than 2,500 prophecies in the Bible. Although consistent amongst the ancient Christians, today views about the nature of Jesus' Second Coming vary among denominations. When did Jesus say he was going to return? Jesus told his disciples, “But of that day and hour no one knows, not even the angels of heaven, but My Father only.…Therefore you also be ready, for the Son of Man is coming at an hour you do not expect” (Matthew 24:36, 44 NKJV).